« How much pre-writing research do you have to do? 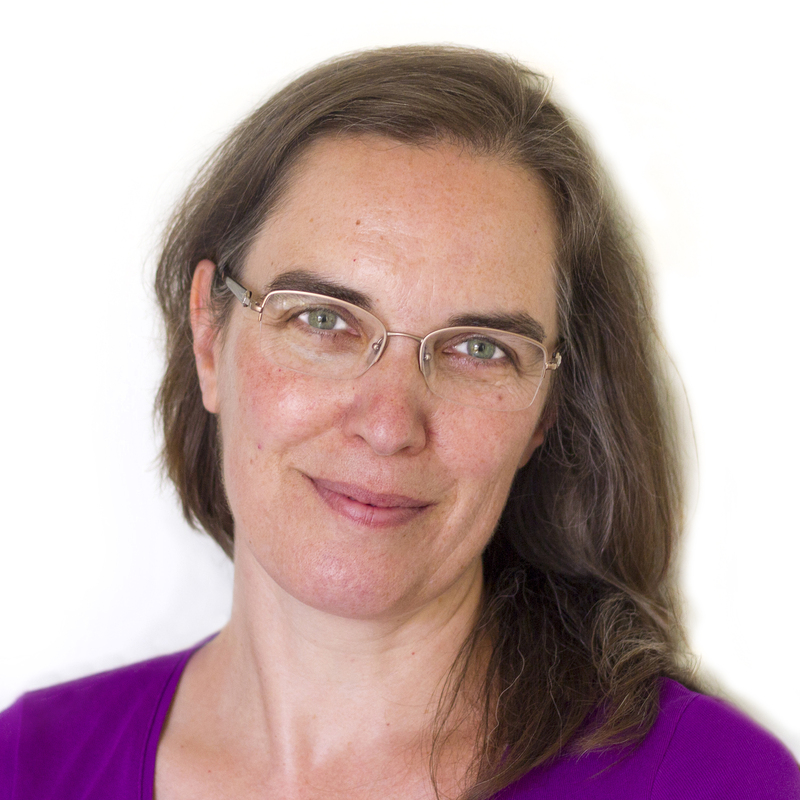 As part of our special ‘A year in the life of an academic writer’ series, Policy Press author and independent researcher Helen Kara sheds light on some of the compromises required when writing an academic book. So, when you write a book, here’s what you do. You read everything that has already been written in the relevant field(s), carefully and thoughtfully. Then you write a considered appraisal of what you’ve learned, giving your own unique take on the subject, starting on page 1 and finishing at the end. The process of writing academic books is full of compromises. Here are some of mine. Regular readers will know that my next book is called Creative Research Methods for the Social Sciences: A Practical Guide, and is scheduled for publication next April. I had terrific input on the first draft typescript from two anonymous reviewers, each of whom did a great job of balancing praise with constructive criticism. I knew there were a lot of examples of creative research work out there, but I had no idea quite how many. It’s an enormous number, with more articles and books being published every week. Top Tip: As I was reading for the first draft, I made a literature grid in Excel to keep track of all the articles and books I found. The grid currently has around 500 articles (of which around 320 made it into the first draft) and around 100 books or book chapters, which are all in the first draft. I now have another 50 articles and 20 books/chapters to read for the second draft. That still won’t be anywhere near everything there is – there’s my first compromise – but I feel fairly sure I’ve included the main people in the relevant fields. Luckily, I like reading. Although with that amount of material to get through, I’ve had to take a strategic approach. As an academic writer, I have ethical responsibilities to the scholars whose work I read: I should read carefully and thoughtfully, aiming to reach a full understanding of the writer’s meaning and purpose, so that I can cite their work accurately and effectively. But I also have deadlines, which brought on my second compromise. I went looking in articles and chapters for the explanation of the research method(s) used. I didn’t care how thrilling the literature review was, or how fascinating the findings. I only wanted to know how the research had been done. Then I read that section carefully and thoughtfully etc. But I couldn’t read the whole of every article and chapter; there wasn’t time. Confession time: There were a few which were simply too enthralling to resist, like the article about arts-based research in rural Cambodia to establish the views of children about their prosthetic legs, and the article about research into intuition and personal creativity whose participants were all chefs with Michelin stars. But, luckily for my deadlines, these were in the minority. One of the trade-offs every academic writer has to make is: breadth, or depth? It’s not possible to do both unless you write a massive book – and even then I’m not sure you can. So my third compromise was to aim for breadth. I’m aware that this carries the risk of being too shallow – but depth carries the risk of being too narrow; it’s always a tricky balance. 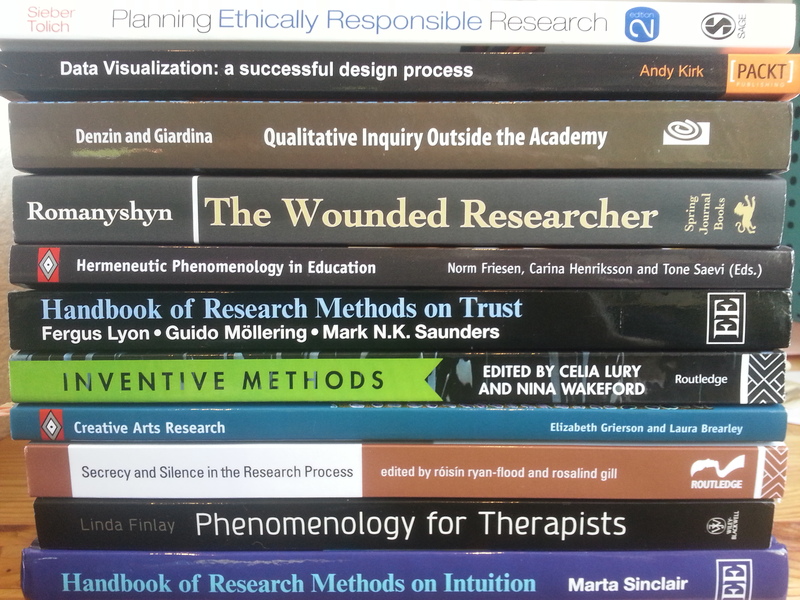 I chose breadth with the aim of giving a solid overview of creative research methods in practice, and will also signpost further resources so if a reader wants to delve more deeply into one aspect or another, they will be able to. For this topic, to me, that seems the best approach. What, you may ask, will I do when I’ve finished all this reading? That would be the actual writing – and I’ll tell you about this stage of my writing process next week.